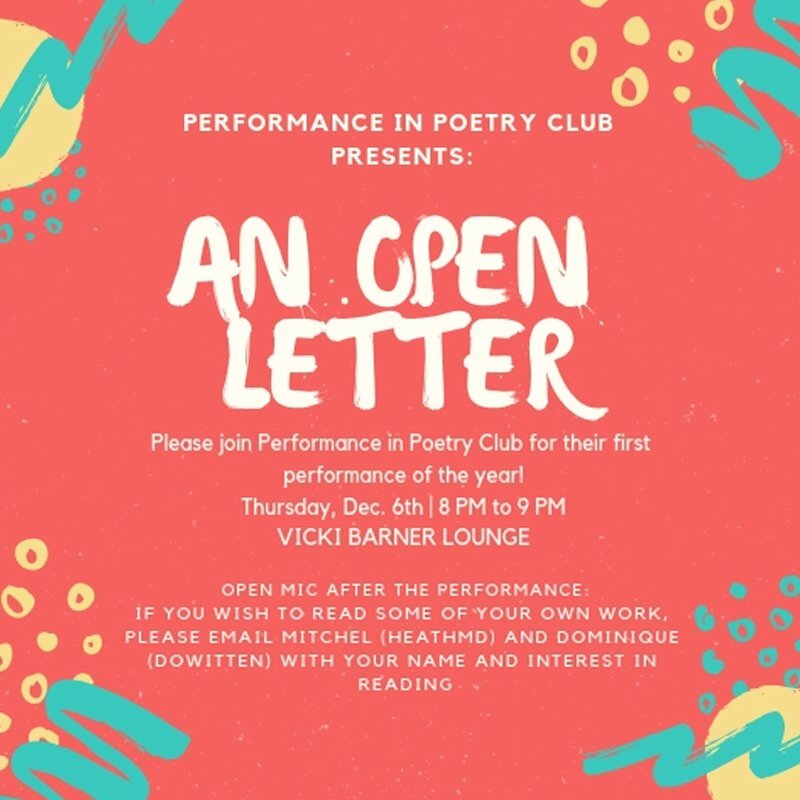 Please join Performance in Poetry Club for their first performance of the year! 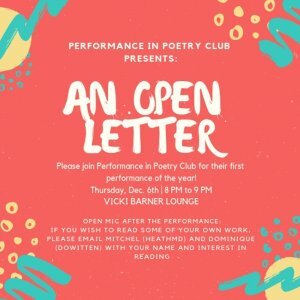 There will be an Open Mic after the performance if you wish to read some of your own work. Please e-mail Mitchel (HEATHMD) and Dominique (DOWITTEN) with your name and interest in reading.